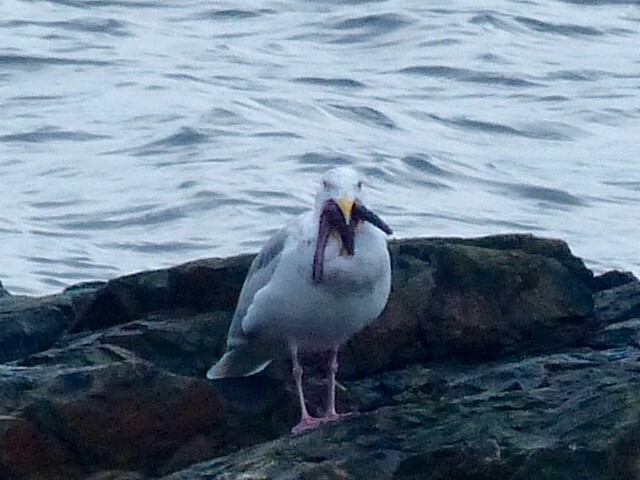 The gull does not seem to be having a lot of success. 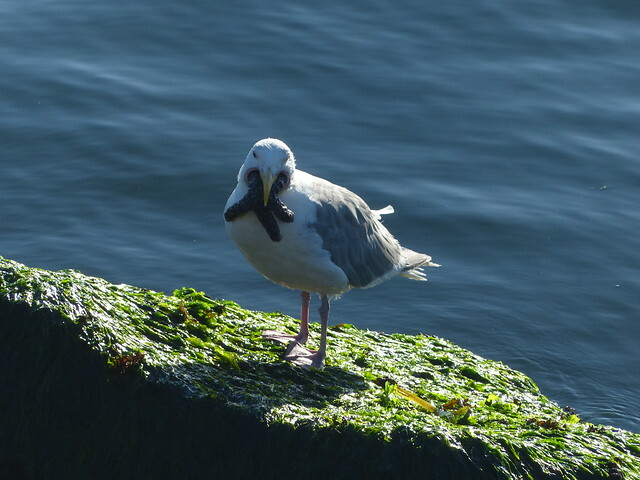 The first image shows the gull with the sea star in its mouth. 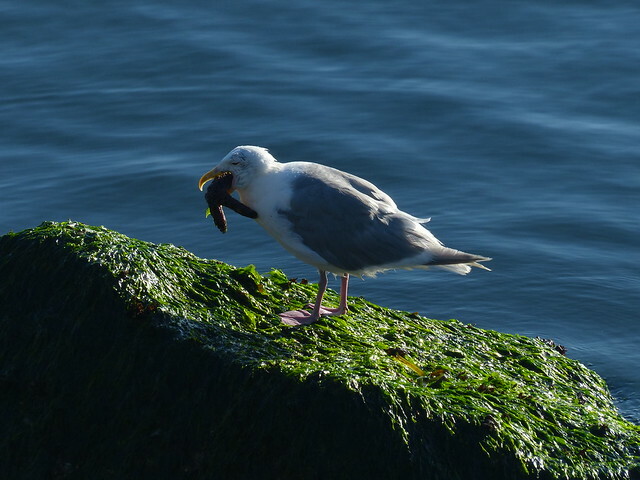 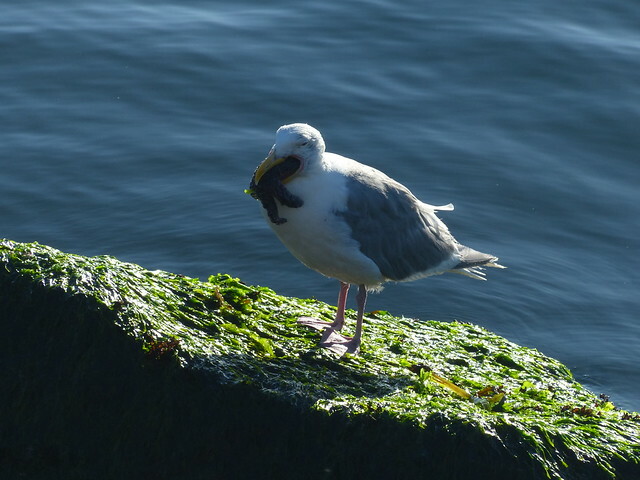 The following three images show the gull swallowing the sea star. 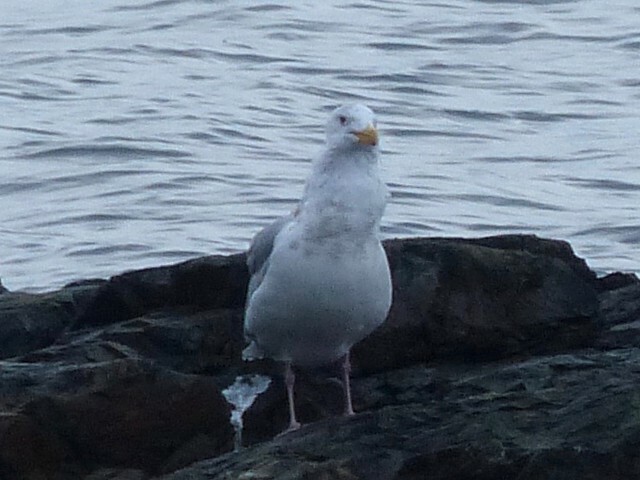 It had to extend its neck which, as you can see by the white spot on the rocks appearing in the third image, triggered a ‘movement’. 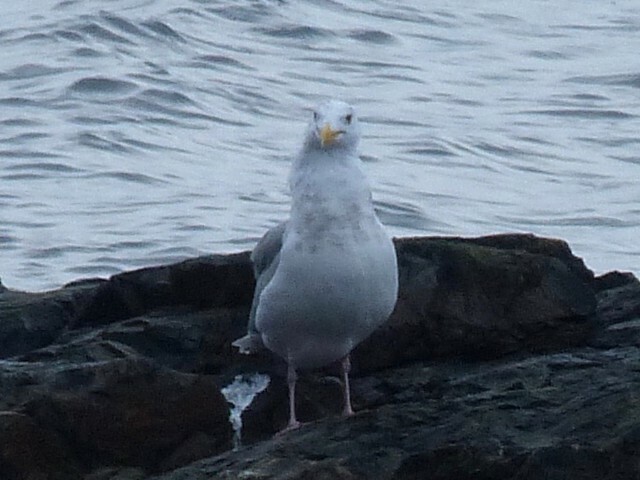 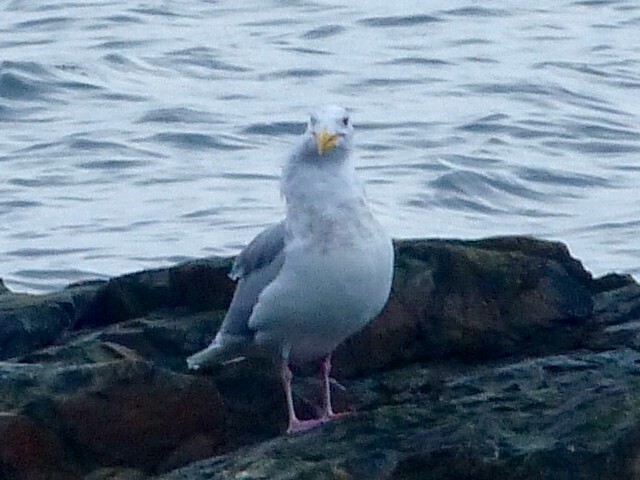 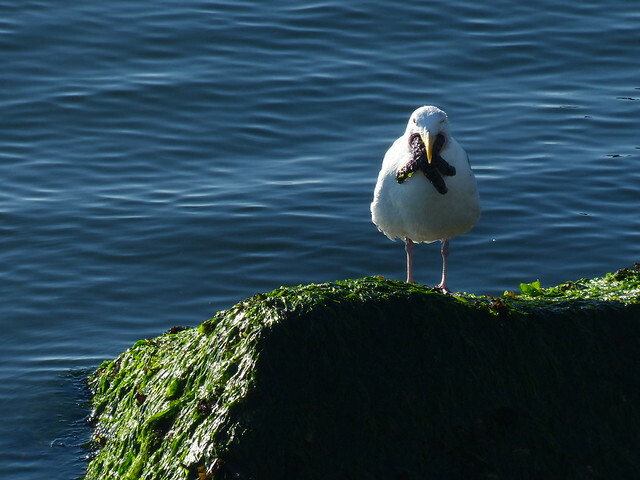 This entry was posted in Amazing!, Bird Behaviour, Eating Things, Gulls, Pictures, Sea Stars and tagged Gull, Nanaimo, Neck Point, Sea Star on 2016/11/22 by KevinHHood.